Damascus, SANA- For over eight years, the sponsors of terrorism in Syria have used many methods to destroy the state and undermine it and prevent it from playing its role, chief among them is the assassination of prominent Syrian figures. On Saturday, Dr. Aziz Isber, head of the Center for Scientific Research, was assassinated by targeting his car with an explosive device in the area of Misiyaf in the western countryside of Hama. The assassination of Dr. Isber came to complement the crimes of the Israeli and US enemies, who have targeted the Syrian Scientific Research Center multiple times through launching direct aggression due to its role as a leading scientific institution in Syria and to reaffirm and prove again the involvement of the Israel and Syria’s enemies directly or indirectly in the serial assassination of Syrian scientific talents. 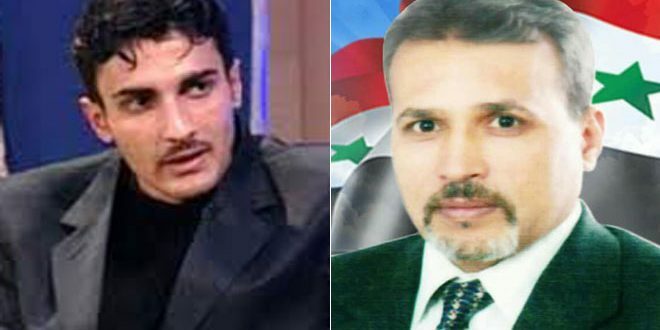 The assassination of the Syrian scientific talents, which began in 2012 when terrorists who were called by the West as “rebels” targeted Dr. Nabil Zogheib, with his family, as well as the young inventor Issa Abboud, along with many doctors, journalists, engineers and experts all across Syria via terrorism tools. Back in the 1980s, the Israeli enemy, hand in glove with the Muslim Brotherhood which today constitutes the backbone of al-Qaeda and Jabhat al-Nusra, assassinated many scientific figures, including Dr. Muhammad al-Fadhel, the doctors Shehadeh Khalil and Ibrahim Naama. This type of crimes constitute a blatant attempt to target the future of Syria and will be doomed to failure as other failed attempts to undermine Syria’s unity, land and position, thanks to the steadfastness of the Syrians along with the Syrian Arab Army.